Using the Import nodes, you can import a terrain or a mask from a file or several files, and terrains or masks from one or several RGBA files. Import terrain: This node creates a terrain from an image file. 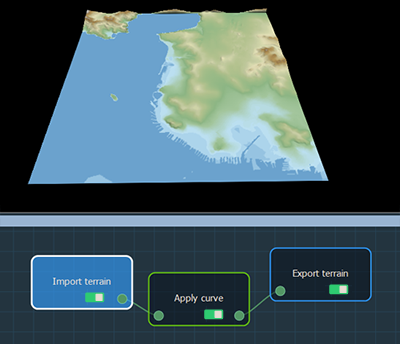 Import terrain from mesh: This node creates a terrain from an 3D mesh file. Import mask: This node creates a mask from an image file. Import terrains from RGBA file: This node creates a terrain from an RGBA file. Import masks from RGBA file: This node creates a mask from an RGBA file. Import color map: This node imports a color map.